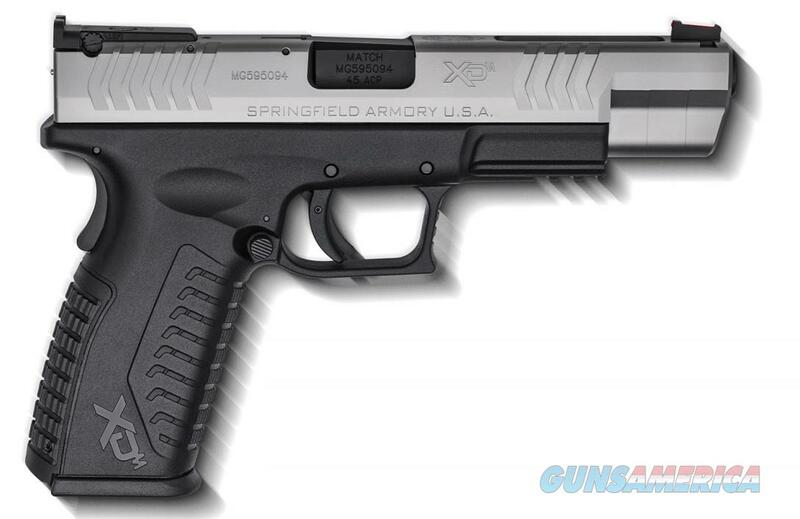 Description: This new Springfield Armory XDM-45 pistol fires the .45acp round. It has a 5.25" match grade barrel with a stainless slide and a black frame. This semi-auto pistol has an ambidextrous magazine release, adjustable rear sights, an under barrel rail, and a Hi-Viz front sight. This pistol comes with a holster, double magazine carrier, magazine loader, 3 back straps, extra Hi-Viz inserts, and three 13 round magazines.